This doesn't happen. Haymitch gives Katniss a hug after they witness an execution in District 11. Plutarch Heavensbee has a mocking jay watch. He doesn't. The mayor's daughter brings the Morphine for Gale after he is lashed. Prim gets it. 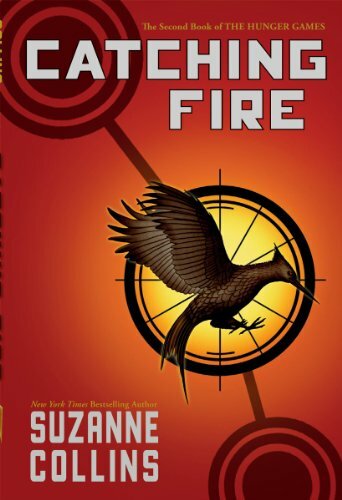 Katniss shoots objects that are thrown into the air at the training facility. She shoots computer generated attackers that are made out of shining gold blocks.